Heartburn and extreme difficulty in sitting and especially lying down are common symptoms of week 38th pregnancy. Frequent urination will continue but do not lower fluid intake. You will experience the swelling of hands and feet. Swelling is related to hypertension in to-be mothers. The unborn baby will continue to react to light and the sounds from outside. Pregnancy week 38 is extremely crucial. It is highly probable that your baby might be born this week. However, there is nothing to worry if you are prepared. Keep your delivery bag ready and do not travel too far away from your home or hospital. Your baby needs all the nutrition that s/he can get. Therefore, you need to continue the healthy diet that you have been on all this while. Also, do not forget the prenatal vitamins. Pregnancy symptoms in week 38 will remain pretty much the same. You will continue to feel the uneasiness associated with the last few weeks of pregnancy. Your baby will continue to accumulate the fat that s/he will require before and after being born. By the time you are 38 weeks pregnant, all the vital organs of the baby will be formed and most of them will be fully functional. The lungs and brain of the baby will continue to develop during the pregnancy and also after childbirth. Pregnancy week 38 will mean that the baby should now weigh between 3 to 3.2 kilograms will be about 17 to 20 inches long. The baby will continue to gain weight. Your baby is now preparing to enter the world outside the womb. The position of the head of the baby should now face downwards preparing it for labour. Your baby is now able to clench her/his fist and you will also be able to experience it! Symptoms of pregnancy week 38 for to be mothers include heartburn and extreme difficulty in sitting and especially lying down. Frequent urination will continue. However, there is no reason why you should decrease your intake of fluids as your unborn child is dependent on you. You will experience the swelling of hands and feet. Although it is normal at this stage of pregnancy, consult your doctor if the situation gets out of control. Swelling is related to hypertension in to-be mothers and it might lead pre-eclampsia. Do not miss any of your doctor’s appointments. It is important that your doctor chart your pregnancy week by week status in order to adequately monitor the baby. Talk to your doctor about any apprehensions that you might have. Continue to practice all breathing and kegel exercises. Kegel exercises will definitely help you during labour and delivery. 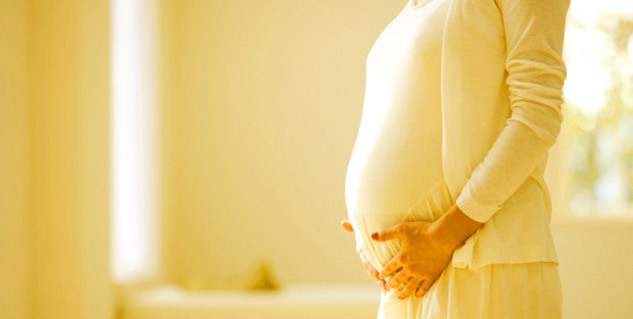 By the time you are 38 weeks pregnant, your significant other might develop some jitters. It is only natural for first time parents. It is necessary for the two of you constantly share each other’s feelings and doubts if any. Now is a good time to get an insight into newborn care as it will help you after your little baby is born! Many babies are born in the thirty eighth week of pregnancy. So not worry if you go into labour. It is also a good time to decide whether you want to go for a C–section delivery or a normal delivery. Keep yourself busy during this stage of pregnancy and avoid stress at all costs.